It's very exciting to be newlyweds, and Joe and Kendra Duggar from "Counting On" are now experiencing the joys of being husband and wife. The two headed straight to Greece for their honeymoon, and the lovebirds told PEOPLE that "time seemed to move so slowly" right after they got engaged and tied the knot. "It's really an amazing feeling to know it's official, and we're really married," Joe said. "We're just enjoying every bit of it." Kendra revealed that it feels nice being with Joe 24/7, since the time they spent during courtship was very limited. "One of the most enjoyable things about being married to Joe is just being together so much," she revealed. "I can hug him, kiss him, talk with and be with him all the time. Being with your best friend makes marriage amazing." As thrilling as it is for them to enjoy these little blessings, Joe and Kendra still looked forward to doing tons of exciting activities in Greece. "We're looking forward to having dinner in the sky, walking through the market, making sandals, going parasailing and paddle boarding," Kendra shared in a video blog for TLC. "The one thing that we will probably never forget about this trip is being together in another country and just getting to experience all these new things." Joe proposed to Kendra Caldwell during the wedding of his sister, Joy-Anna to Austin Forsyth earlier this May. They became friends because their families are close friends through church, and they started courtship just a few months before getting engaged. 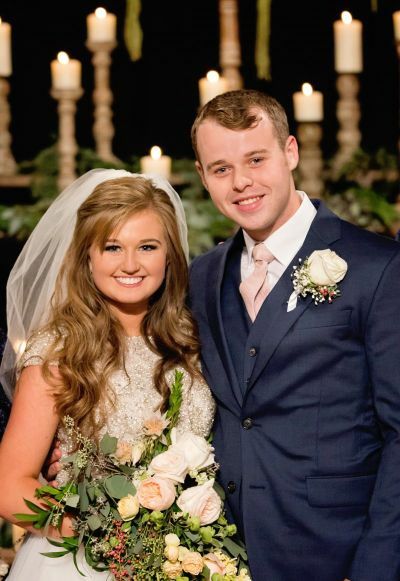 Joe is the sixth child of Jim Bob and Michelle Duggar to get married, following his older brother Josh, elder sisters Jill Dillard, Jessa Seewald and Jinger Vuolo, and younger sister Joy-Anna.